By Justin C. Regular readers will know that occasionally this blog features what I call metal-adjacent(tm) acts. It's not metal, but it's somehow connected. Maybe Kevin from Gorguts has an avant garde ukulele side project<. Regular readers will know that occasionally this blog features what I call metal-adjacent(tm) acts. It's not metal, but it's somehow connected. Maybe Kevin from Gorguts has an avant garde ukulele side project. Maybe it's a dark singer-songwriter who's a favorite of metal fans. In this particular case, though, it's a bit of a stretch. 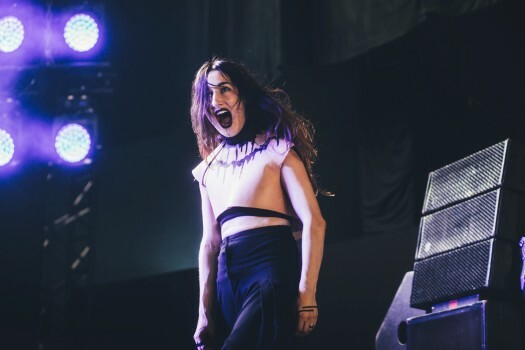 But, in a recent Decibel editorial, Neill Jameson mentions a "...diverse range of music from doom to various subgenres of punk to whatever you’d classify the gloomy sounds of Chelsea Wolfe and Zola Jesus..." A black metal musician mentioned Zola Jesus: metal adjacency achieved! I'm a long-time fan, so if this turns out to be as much a love letter to the music as a piece of criticism, then so be it. 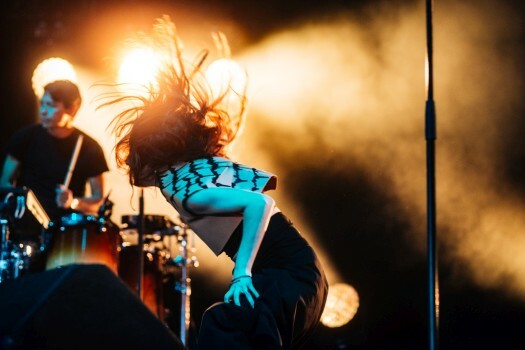 Zola Jesus is the project of Nika Roza Danilova, a woman who took opera lessons as a child but then turned that voice toward creating some of the most unique pop music out there right now. You can find quite a bit of info and critique about her work on the interwebs, but most of it's wrong. I say that because I think Danilova's influences are so diverse, and her meshing of them at this point in her career so seamless, that when everybody tries to do the standard, "She sounds like x and y," x and y turn out to be just tiny pieces of what she's working with. Yes, she's opera-trained, but her voice--the power of which could be harnessed to power a small-to-medium-sized American city--lacks the baroque ornamentation and filigrees typical of opera. It can sometimes seem unadorned, if it were not for the tasteful application of vibrato and the overwhelming emotional heft that's so evident in her singing. Yes, she often uses very heavy drums and bass, but neither make her "industrial pop" or "gothy dance music." Never mind the fact that, although she does use a fair amount of electronics in her recordings, she also uses live drummers and the occasional trombone on stage. So I'm not going to get hung up on any more twisted genre classifications. At its heart, it's genuinely inventive and well-crafted “pop,” as inadequate as that word can seem in the face of her music. Sometimes it's spartan, sometimes intricate, and it's always truly special. 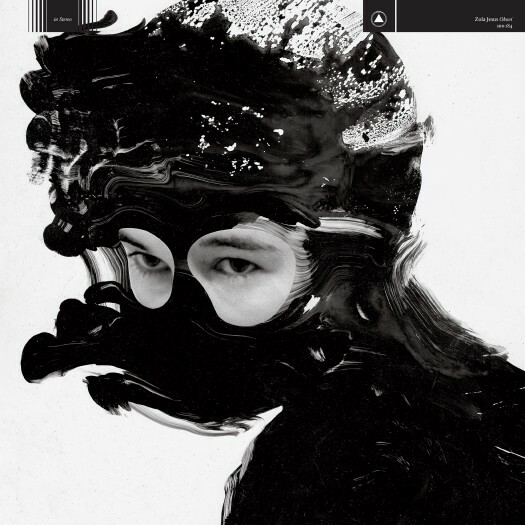 Zola Jesus's latest, Okovi (which translates roughly to "shackles"), was written while Danilova was struggling with a major depressive episode, and while some of those close to her struggled similarly. She's been candid about that struggle in an article on Bandcamp daily. Danilova wears her heart on her sleeve on this one, so it's not surprising that she wrote this during such a rough time. "Exhumed" opens up with viciously bowed strings--in a rhythmic pattern not unlike one of the mid-song riffs of Metallica's "One"--and Danilova herself provides a piercing howl that would have overshadowed Robert Plant's intro to "The Immigrant Song." The lyrics talk about fighting tooth and claw, literally: "Open the jaw and sink in deep / Force it open and claw the grip." The song slowly builds and adds a counter line, urging someone to "Let it sink / Don't let it hold you down," a symbolic action that most of us who have suffered from depression would recognize. We'd hate to see you give into those cold, dark nights inside your head. The refrain, when a choir of harmonized Danilovas sing, "Won't let you bleed out / Can't let you bleed out," is enough to warm even my cold, dead heart, and I defy anyone to listen to it and be at least a little bit moved. Most music--at least most honest music--is about trying to express some feeling, maybe something ugly or just downright difficult to verbalize any other way. Expressing it might be as necessary for the artist as breathing. For me, Zola Jesus goes even beyond that--it feels like a genuine reaching out, even if that may sound a little melodramatic. Her music pushes me out of the somewhat-flattened range of emotions that often come with antidepressant use. Earlier this year, I talked about how harrowing Cavernlight's album was, which covered similar emotional terrain. I've long been moved by everything Zola Jesus has produced (and luckily, a large chunk of her discography is on Bandcamp), but after spending the better part of this dreary holiday season with Okovi, I've come to see them as two sides of the same coin. Two albums expressing the same terror, rage, and maybe hope. By Hera Vidal. Phlebotomized is one of those cult bands that disappeared during the late 90’s, only to resurface 16 years later. Their music is what I can only describe as avant-garde, reminding me a lot of Ven Buens Ende and their classic Written in Waters. Phlebotomized is one of those cult bands that disappeared during the late 90’s, only to resurface 16 years later. Their music is what I can only describe as avant-garde, reminding me a lot of Ven Buens Ende and their classic Written in Waters. However, unlike Ven Buens Ende, Phlebotomized is much more approachable, less chaotic (to an extent), and much more enjoyable. While researching this band and album(s), I saw comparisons between Phlebotomized and Amorphis, and even listened to Tales from the Thousand Lakes to see whether the album had the same sound. I would consider Phlebotomized to be Amorphis’s more flamboyant Dutch cousin – they run in the same sonic circles, but Phlebotomized likes to experiment. 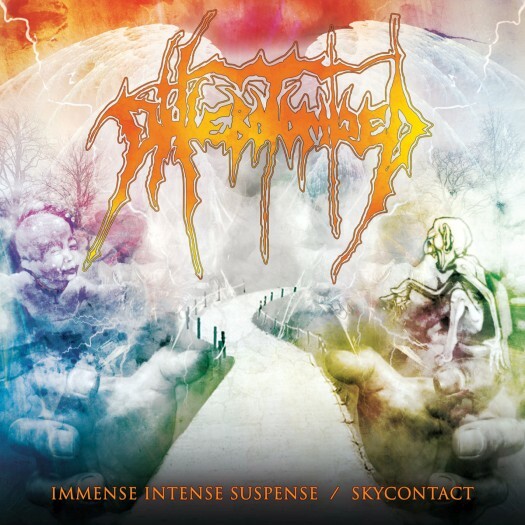 Now, Immense Intense Suspense / Skycontact is actually a compilation of their classic albums, Immense Intense Suspense, released in 1994, and Skycontact, released in 1997. Because this is two albums in one, I will be focusing on one album at a time before giving my closing remarks on this compilation. Of the two, Immense Intense Suspense is the most conventional – that is, it follows the true-and-tried of death-doom, but it does have some quirks to its music including touches of tech death in the guitar, acoustic tones used sparingly throughout the album, and an avant-garde vibe that comes out through the usage of keyboards. What makes the music work is actually the usage of a violin. 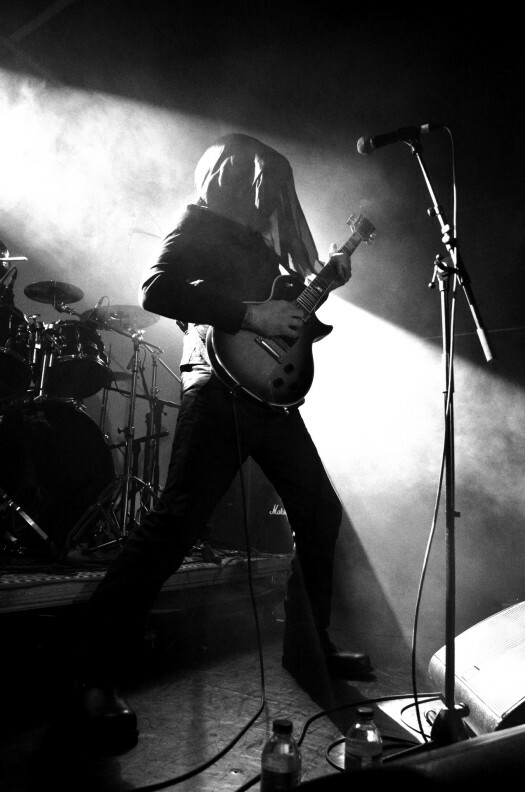 There are moments were the main focus of the music is a heavy, sludgy guitar that really brings out the death metal. It can be heard throughout the album, warring with the violin, creating an intense wall of sound that doesn’t let up even during the quiet parts of the album. In fact, one can say that the album is focused around the violin, making sure it shines when it can. Throughout the album there's a suspense coming from not knowing what to expect, as it surprises you at every turn. It definitely sounds a lot different than what was available at the time, but, nowadays, you can find similar surprises in album from say, Oranssi Pazuzu or A Forest of Stars. Skycontact, on the other hand, decided to throw much of the conventional metal out the window and go full avant-garde. Unlike the non-linear musical structure and lyricism that was used in Immense, Phlebotomized decided to fully embrace their quirky soundscape and their penchant for experimentation, forgoing the violin for the usage of synthesizers and fuzzy guitars. This leads to a cohesive structure of music that, while it can go from one place to another rather quickly, can still follow a set theme. One can claim that Skycontact is a full descent into madness and dreams, dense in its complexity and atmospheric in vocal usage. If Immense is the outside world, then Skycontact is Wonderland. 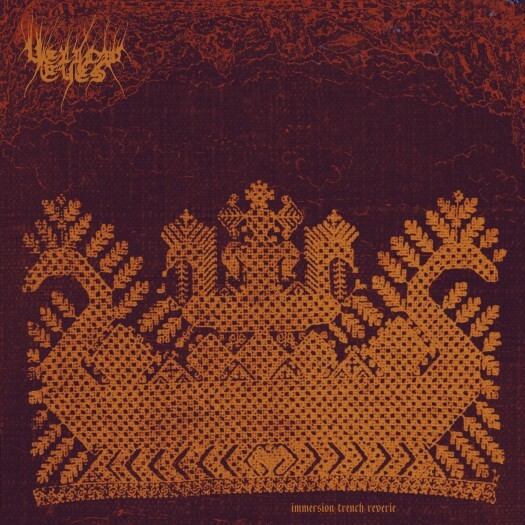 The dreamlike atmosphere of this album is something to behold, fully embracing their quirks without losing all of their previous death-doom sound (see the delightfully titled “I Lost My Cookies in the Disco”). All in all, Immense Intense Suspense / Skycontact is a compilation album that provides ready access to a band’s discography that is highly niche and would need someone else to direct you to it. Depending on whom you ask, either album is polarizing yet accessible. Personally, of the two, I would suggest starting with Skycontact first, as I think it is the most accessible and enjoyable of the two. Given my penchant for progressive metal, that side of the compilation was easier to take in. 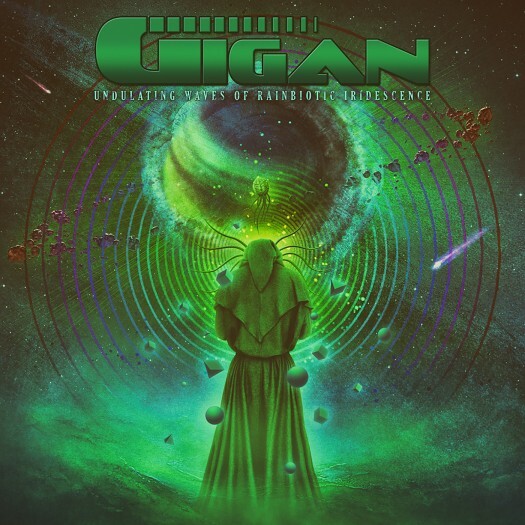 Overall, the compilation is a great introduction into the avant-garde, and I fully recommend it to those who enjoy a little weird in their metal. Iceland has become known as one of metal’s most buzzed-about places, especially since their music scene is home to some of the biggest names in black metal right now. 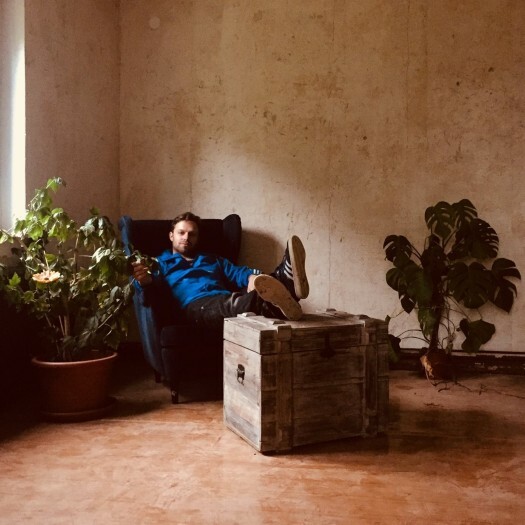 We know that Iceland’s climate serves as inspiration to the raw emotion behind the music, so it should come as no surprise to anyone that anything that comes out of Iceland is worthy of note. However, my preferences lie towards the atmospheric, so when I saw this album, I decided to take the plunge and listen to it. Auðn is a relatively young band, having only released this album, but they already sound like pros. They are already set in the way they wanted to sound, and it shows. Everything about their musicianship sounds impressive, and it comes as no surprise that their atmosphere is one of the most noticeable things this album has to offer. Auðn’s atmosphere may be cold, but there is also some warmth that is offered to the listener. 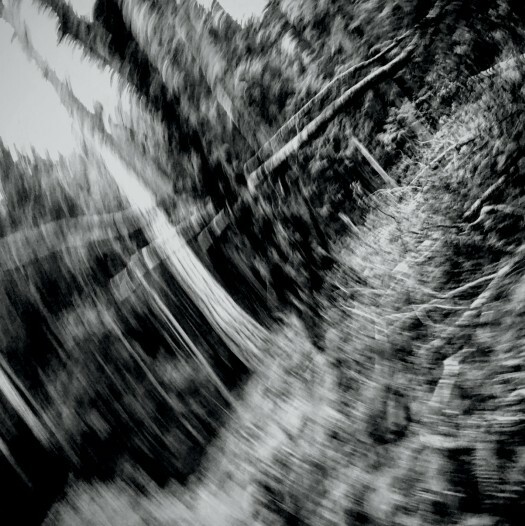 The warmth stems from the album’s melodic nature, which is strange considering how most atmospheric black metal is supposed to sound bleak and cold. However, the highly melodic sound and the bleak atmosphere provide a beautiful sound that makes it greater than itself. It literally takes the listener elsewhere, and transcends them to a place where they can forget about everything for a while. 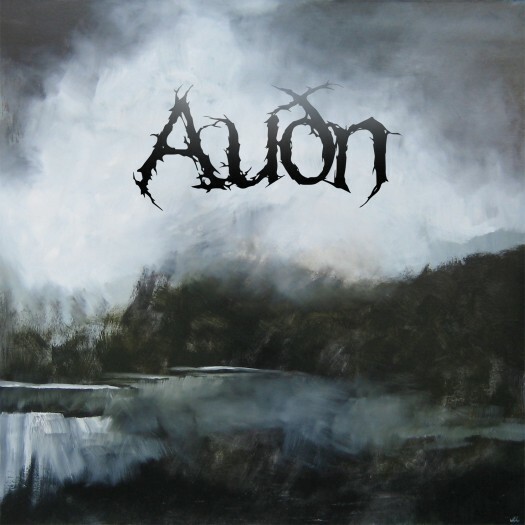 Given how this album is 36 minutes long, it seems Auðn thought it appropriate to make their debut succinct and enjoyable. Now, another thing worthy of note is their production value. I try to not focus on production a lot, but their production is so clean and so well-done that one can’t help but notice how elevated it sounds. In my listening experience, black metal albums don’t have good production values, and, if they do, they tend to emphasize a part of their sound while staying relatively the same elsewhere. What Auðn has done is place emphasis on parts that are stressed throughout the tracks, but have also kept the album consistent—there are no stray notes or stray sounds. When these parts are stressed, you can hear all the different elements they have added into the layers of music—you can hear the deep bass, the clean vocals, and the syncopated drumming. For a band whose name translates to “wasteland”, there is nothing desolate or barren about anything this album has to offer. It’s beautiful and grand, which is a big statement coming from a young band. In short, Auðn is a gem of an album that has a lot to offer and say in the span of 36 minutes. This feature makes the album digestible and enjoyable. The best part is that this album gets better with every listen, and you can always come back to it for comfort. I have a feeling we are going to see more from Auðn, and, when they do decide to release another album, I hope it is just as fantastic as this debut. By Calen Henry. The previous article in this series got good traction so I'm back with a few more bands that do more than just make great metal. They also make great sounding metal. 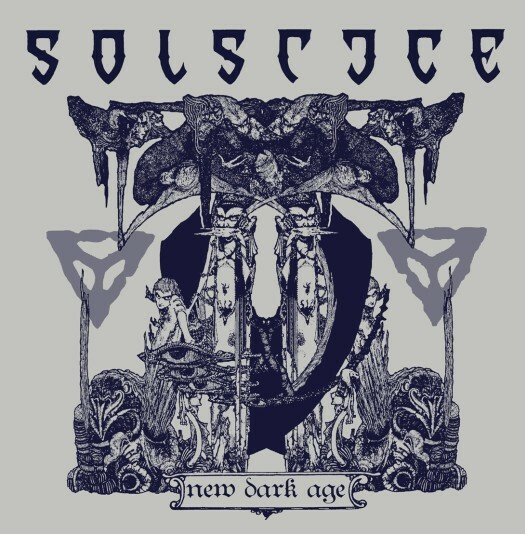 Solstice play Epic Doom Metal, a genre that is really big in 2017. The previous article in this series got good traction so I'm back with a few more bands that do more than just make great metal. They also make great sounding metal. Cover art by Harry Clarke. Solstice play Epic Doom Metal, a genre that is really big in 2017. New Dark Age, though, was originally released in 1998 and the dynamic CD master is on Bandcamp. It measures in at DR 12 and absolutely crushes. 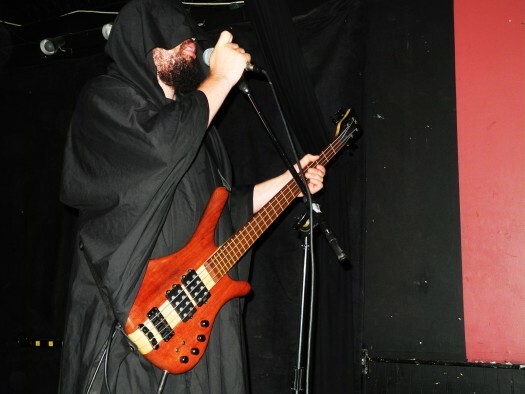 Their epic, melodic medieval approach to doom can be heard in numerous newer bands. 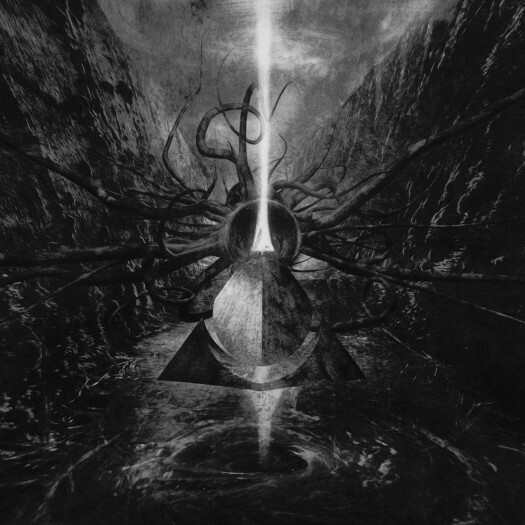 Darkest Era sound like Solstice + Primordial. 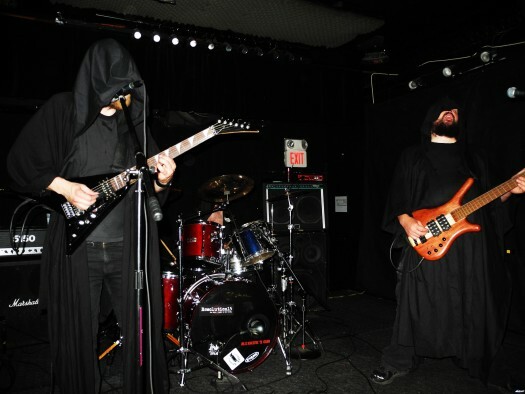 Khemmis take epic doom and apply the "kitchen sink metal approach" to blending the genre. Bands like Atlantean Kodex simply sound like Solstice. 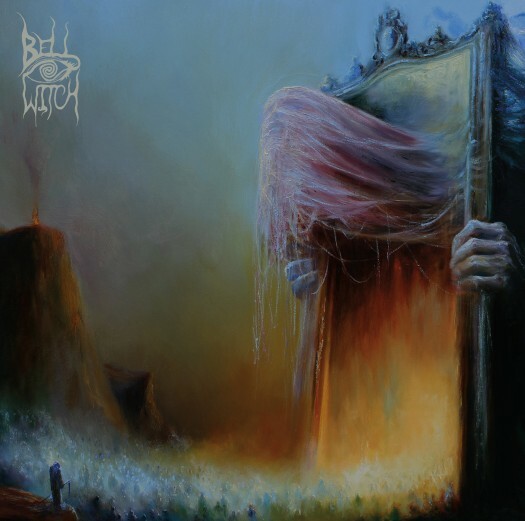 Plus, their "archaic language about castles and monsters" approach is everywhere in metal now. Apart from simply being fantastic doom metal New Dark Age is eally elevated by the folk influences. The riffs, vocals, and lyrics are extremely folky and the album features numerous fantastic tracks that are straight up folk songs with no metal whatsoever. This commitment to "folkiness" can make the vocals seem a bit off putting at first. There are some sections that feature harmonies not usually used in metal. Bands like Darkest Era have much more approachable vocal styles. But the vocals on New Dark Age complete the sound and after an acclimatization period I found myself to be a big fan. Album art by Dymond Starr Austin. 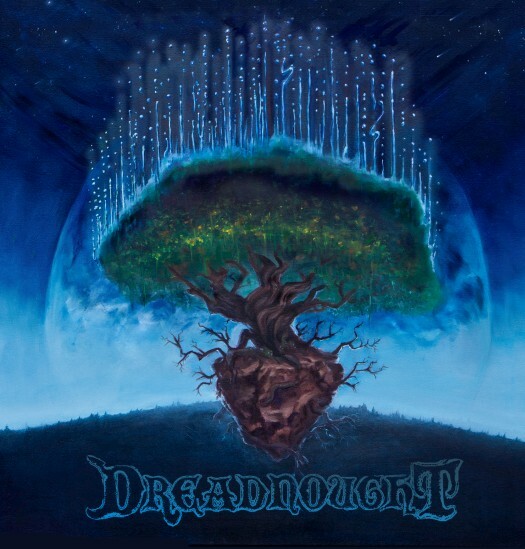 Dreadnought play the proggiest metal to ever prog. They might be best described as "blackened prog rock" All the prog rock trappings are there. Their albums are an elemental cycle with the title track from their newest album being 17 minutes long. They use flute, piano, organ, and saxophone as well as lots of clean vocals. They mix that with vicious blast beats and snarled vocals. Lifewoven is the first in their elemental cycle, being earth themed. It is also, unfortunately, the only dynamically mastered album in their catalog measuring DR 10. Bridging Realms (aether themed) and A Wake in Sacred Waves (water themed) are both excellent albums but they are not at all dynamically mixed both coming in at DR 5 and DR 6 respectively. Lifewoven sets up Dreadnought's sonic template from which they don't much deviate on later albums. 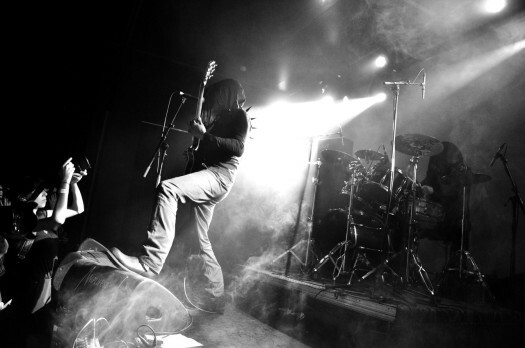 Long songs with complex multi layered sections flowing between prog rock and black metal. 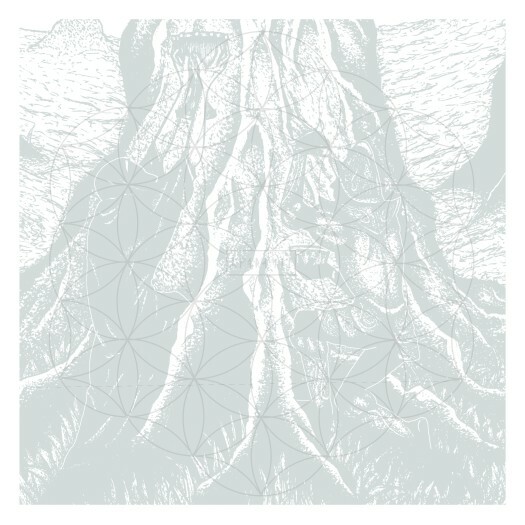 Though sounding nothing alike their long form immersive approach to songwriting brings to mind Elder, and is part of why I like both bands so much. 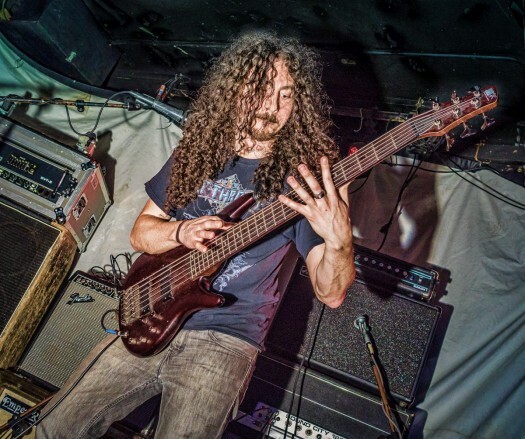 Æther Realm are part of an amorphous wave of new American (and Canadian) metal taking influence from myriad styles but always with a bit of melodeath, folk, and black metal. Thrawsunblat play the blackest version of it, Wilderun are the folkiest, and Xanthochroid are the most symphonic and cinematic. Æther Realm, hailing from North Carolina, exhibit the strongest melodeath links but mix it with black metal, a bit of folk, a symphonic edge, and phenomenal production. The master for Tarot is DR 10 and it sounds incredible. The drums, in particular are punch of give the music a great visceral quality, like Vainaja (though sounding almost nothing like them). The mix doesn't emphasize guitars over other instruments so everything comes through wonderfully. 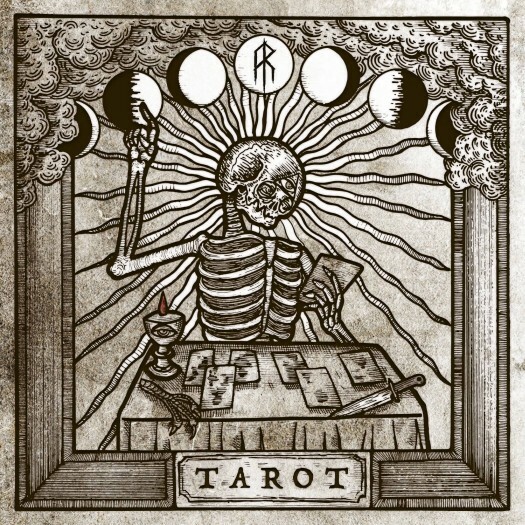 Tarot is an album that piqued my interest on production but really sells the music as well. The musicianship and composition are excellent as well and improved, rather than hampered by production. 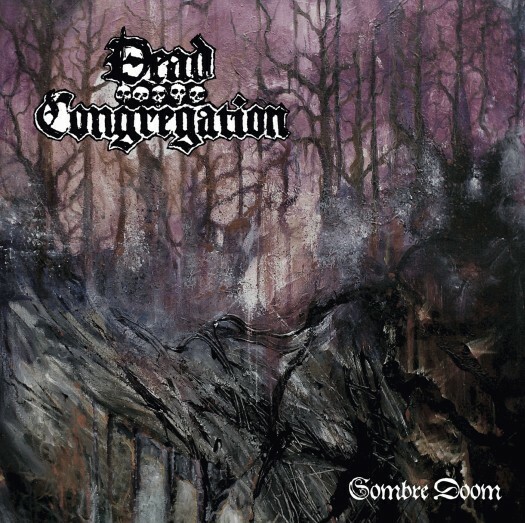 Dead Congregation's Promulgation of the Fall is a modern old school death metal classic. It also sounds terrible. It's incredibly dynamically compressed (DR 4), to the album's detriment. Amazingly they followed it up with a two song EP that incredibly dynamic (DR 12). It's also, unsurprisingly, excellent. Hitting a sound between Ominous Circle and Vainaja. 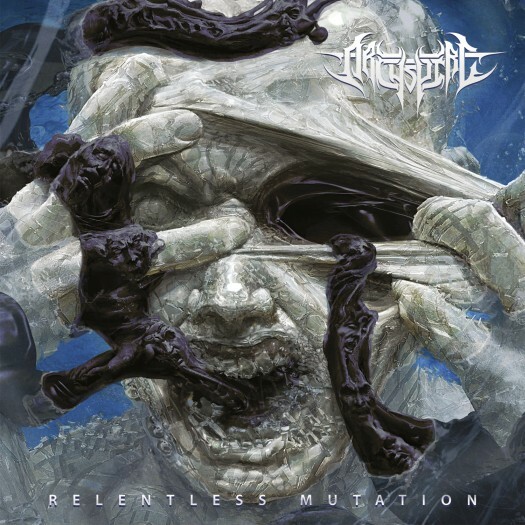 Worth a look for any death metal fans wanting great sound to go with great music. Ruff Majik sound like The White Stripes weaned on stoner rock. The vocals are very "Jack White" and the music has the same frantic raw feel of early White Stripes but with a metric tonne of fuzz. The band also records their material live in studio which gives the music an organic spontaneous feel at the expense of some fidelity. 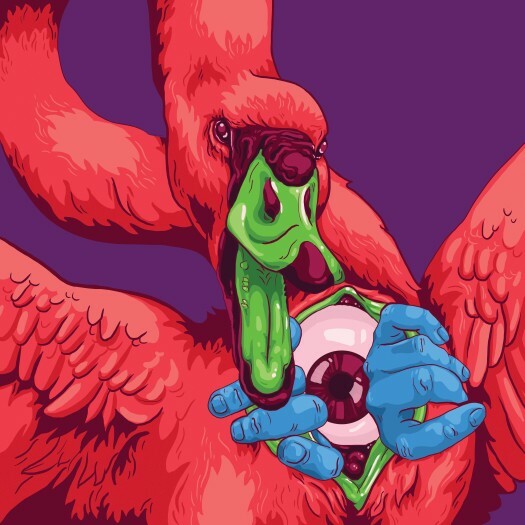 So far the band has a trilogy of animal themed EPs and are working through releasing four parts of an album to coincide with the change in seasons. They're South African, though, so the season changes are opposite to what us northerners are used to. Of their catalog The Swan appears to be the only release with a dynamic (DR 12) master, but musically it's all great. By Hera Vidal. I have had my run-ins with Chilean metal over the years and they are probably best known for their thrash metal, given both the speed of the music and the freedom the subgenre gives them for creating music. I have had my run-ins with Chilean metal over the years and they are probably best known for their thrash metal, given both the speed of the music and the freedom the subgenre gives them for creating music. In this scene, a lot of bands wish to reach some mainstream prominence, whether it is getting signed to a major label (prior to their split, Mar de Grises was signed to Season of Mist) or being well-known around the world (Pentagram Chile comes to mind due to the underground tape trading circuit). However, some of the best bands are actually underground. Sol Sistere is one of those underground black metal bands that already have so much experience in the Chilean metal scene, given how all of its members have been in bands prior to this one. However, what makes this band—and this album!—stand out is just how ballsy they are with their music. 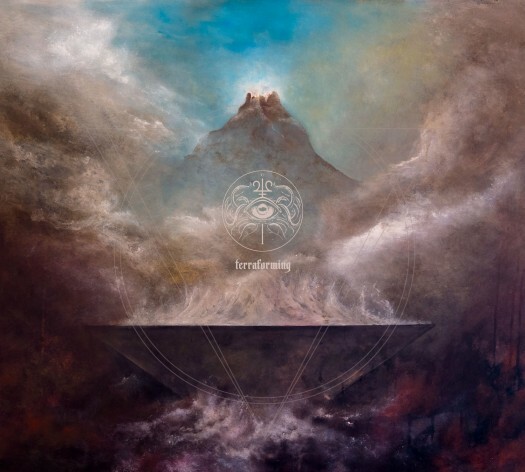 Unfading Incorporeal Vacuum sounds like an atmospheric black metal album, but it has the ferocity of classic black metal that doesn’t let you go away. However, unlike classic black metal, where anger seems to be the default emotion that can be heard, there is a sadness that shrouds the music. “Death Knell” sounds like a death tone, something you play to let everyone know that someone has died. From that point, the music just seems to get sadder with each track, although the emotional range that is found within each track is something of note. For example, “Sight of the Oracle” starts off with constant guitar picking and backing bass before launching into a flurry of desperation that takes over the track. However, it quickly goes back to that atmospheric quality that we see a lot of in black metal and it makes sure to bring that emotional range back to peak. The vocals here are a work of art; they are not overwhelming and are thought to be more of an accent piece. Because of it, the focus is usually on the music and the atmosphere it brings to the listener. If you don’t feel something at the end of it, then you need to listen to this again. Despite all of this, there is something that Sol Sistere lacks before they can be considered to be one of those classic metal bands. The problem with reaching peak during an album is that it doesn’t offer something new in the music. 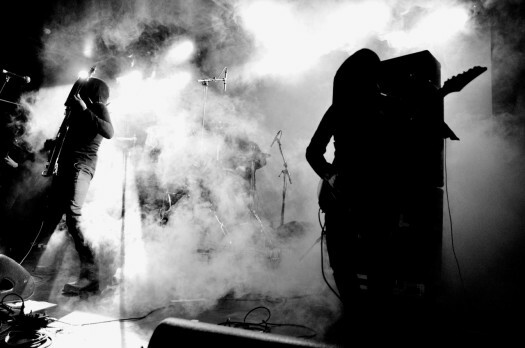 One of the faults of atmospheric black metal is the fact that the music can drone on forever without anything changing its structure or its tone. In such cases, atmospheric black metal should value quality over quantity. However, despite its constant musical structure, Unfading has the emotional backing to make this one of the most enjoyable albums I heard in 2016. 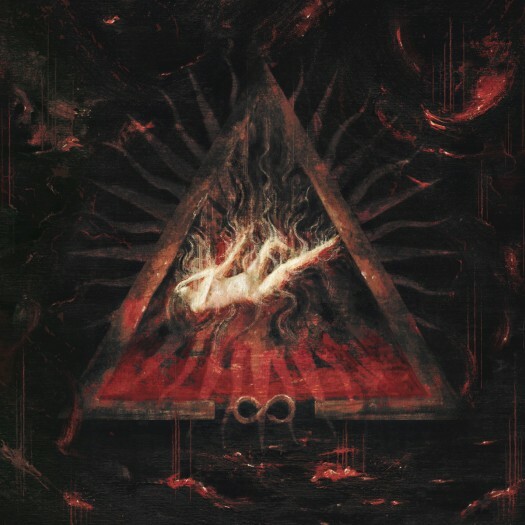 All in all, Unfading Incorporeal Vacuum demands your attention with its brand of straightforward, atmospheric black metal and emotional range. There are moments where the album flatlines a bit, but it picks up and continues to soldier on. This band is young, and I do have high hopes for them as they continue to specialize in black metal. They may be called South America’s best-kept black metal secret, but they still have a lot to prove to everyone. Kudos to Sol Sistere! By Calen Henry. Nomasta take their most clear influences from interesting places. 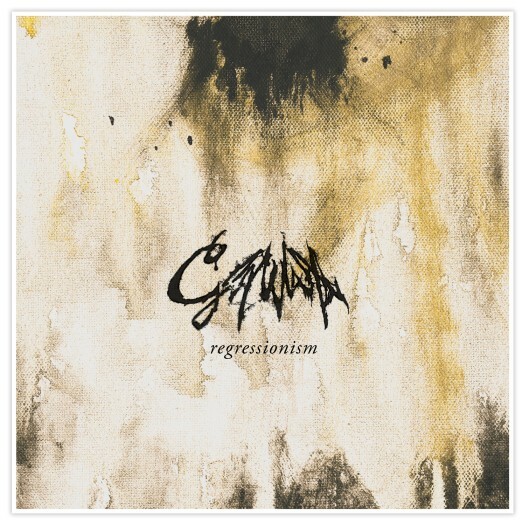 They sound like a mix of High on Fire and early Mastodon; between the slightly dissonant angular riffs of Remission and the more polished filth of Leviathan. 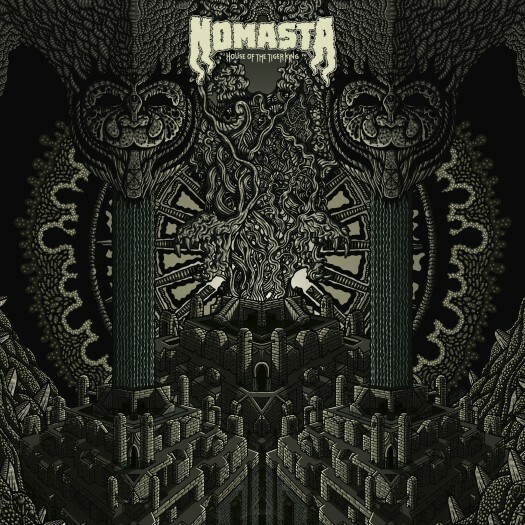 Nomasta take their most clear influences from interesting places. 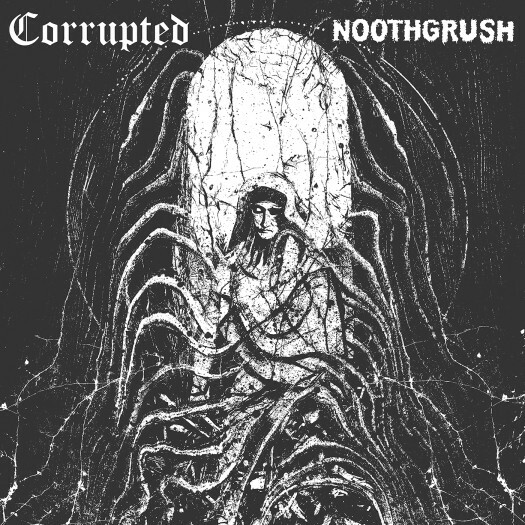 They sound like a mix of High on Fire and early Mastodon; between the slightly dissonant angular riffs of Remission and the more polished filth of Leviathan. Given that the members of Mastodon reportedly met at a High on Fire concert it's and interesting and fitting mix of influences. One of Nomasta's biggest strengths is the ability to really get at the feel of both bands without sounding like they are outright copying. 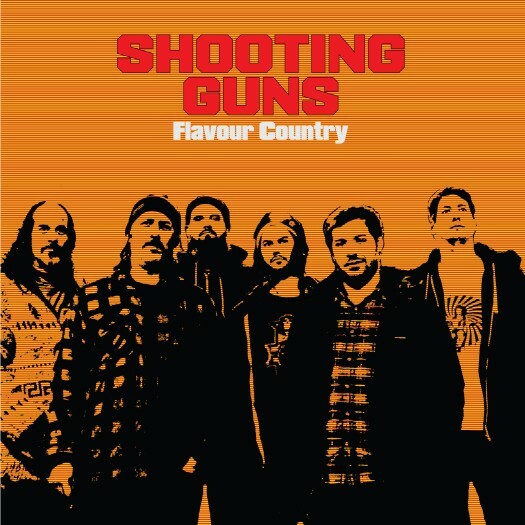 They mix the thrashy stoner stomp of High on Fire, as well as eerily Matt Pike-like vocals, with the monolithic rolling riffs and the coiling serpentine leads of Mastodon but all the riffs are their own, paying homage rather than copying. The result is a straightforward sounding record that belies the underlying complexity, much like the bands they draw influence from. With those primary influences House of the Tiger King is unsurprisingly loud and riff filled. But melody runs through the whole record. From the angular melody of their Mastodon worship through the more straightforward metal riffs and the melodic flourishes layered over top they expertly inject melody into the heaviest sections. That's coupled with soaring fuzz-drenched dual guitar leads, reminiscent of Blue Record era-Baroness. In the present golden era of prog metal, Nomasta also stand out by not sounding particularly "proggy". For me they don't quite reach the heights of Dvne's Asheran for "Mastodon torchbearers". But their more straightforward approach will likely win them the type of old Mastodon fans that fell out of love around Blood Mountain or Crack the Skye and don't go for Dvne or other overtly progressive doom. The time has come for Antiversum to rear their ugly head once again on Invictus Productions. They're here to deliver their debut long player, Cosmos Comedenti (Cosmos Eater in Latin). The title is full of portent: we've got some nihilistic music on our hands. Glistening obsidian adorns the cover, confirming any and all suspicions: this is oppressively heavy material of elemental depredation. 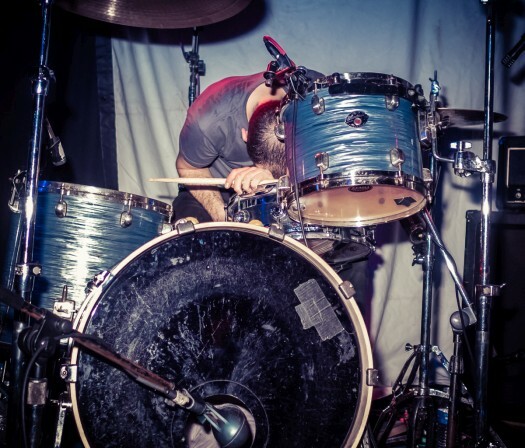 Antiversum adopts a sound that is well-defined and make it their own. You'd be forgiven for comparing them to Portal; the influence is palpable. However, Antiversum is no mere simulacrum of the gods. The band stands tall because they write great songs. Would Portal exist if not for Morbid Angel? Asking such questions is only useful in illuminating how pathways have been paved for new ideas over time. When all is said and done, solid songwriting is what's tantamount to transcending one's influences. Cosmos Comedenti is an expertly crafted work that continuously beckons the listener back for more. The first minute of the record sounds like gathering gloom on a hopeless night. This is before Antiversum have even struck a note. "Antinova" is the name of the tune in question. It's a made up word, perhaps referring to some kind of cosmic increase of darkness. How fitting for a record about eating the universe. 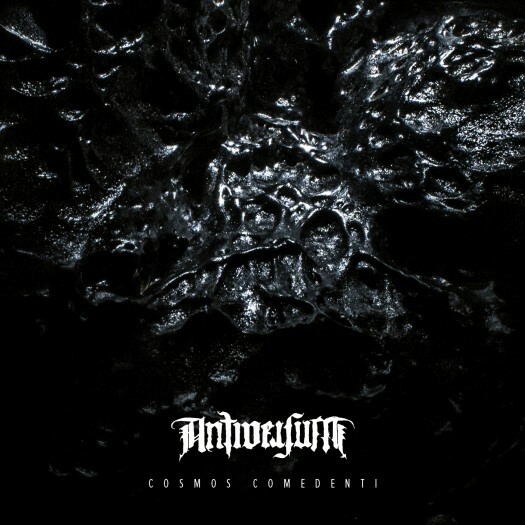 Antiversum comes ripping through space like a nemesis to heavenly bodies all and sundry. A churning rhythm locks into place, throwing all equilibrium out of orbit. Ghostly whispers enshroud the atmosphere in a thick putrid all-encompassing fog. Stars blink out. Fear sets in. Unwholesome melodies smear the senses. "Antinova" winds down and things get stranger still. Guitars scratch through the black, opening up the landscape like a wound. 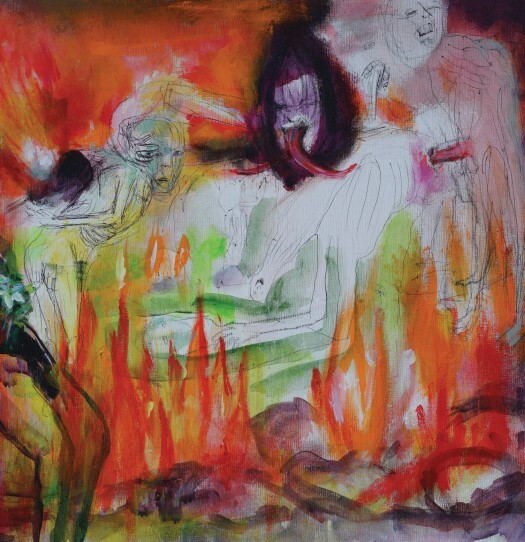 This gaping maw murmurs forth a remembrance: This is not a dream. Cosmos Cemedenti clocks at thirty eight minutes with four tracks. It's a succinct offering, one that sticks with you long after the music stops. Invictus Productions have put out some of the darkest metal to be heard this year. The first proper full length by Antiversum is a formidable addition to the roster of this fiendish imprint. By Bryan Camphire. The more I listen to this record the more I want to turn it up. Bilbao's Altarage have delivered another scorcher of a release, and repeated listens can feel like witnessing the spreading of wildfire. The more I listen to this record the more I want to turn it up. Bilbao's Altarage have delivered another scorcher of a release, and repeated listens can feel like witnessing the spreading of wildfire. The band has upped the ante for themselves on Endinghent, their second proper full length in as many years. The record plays on the strengths that made their debut Nihl so remarkable, and makes everything meaner. This is caustic death metal played on a colossal scale. Opener "Incessant Magma" gets right to it. Searing guitars are tremolo picked as the rhythm section pounds out a violent undulating dirge. It erupts white hot and blots out everything in its wake. Endinghent is a record that makes you want to throw up your fists while it pulls you under, deep into its pyroclastic flow. Still, for all of the band's vivid roiling might, it's the excellent song writing that keeps the listener coming back. The tunes each possess a distinct individuality, and there is not a dull cut in the batch. What makes Endinghent a meaningful record is its ability to deliver hopeless blackened death metal in a fresh way. Altarage add a secret ingredient to their ominous sound—something which has made metal so engaging since its inception, something that has a tendency to get subjugated in the name of innovation. Simply put, they play riffs that make you want to headbang. All of the instruments possess this propulsive quality. And yet the playing is never formulaic, always nuanced. The rhythm section changes things up often enough to keep things from getting predictable, yet still manages to grind out rhythms that make you want to break stuff. The guitars come across like parasitic cordyceps worming their way into your brain and dominating your thoughts and feelings. Unique unexpected chord choices open the music up at intervals. The sinking spiraling entropy never lets up. Endinghent triumphs as a work of meticulously calculated order that gives way to an outpouring of raw, cataclysmic fury. 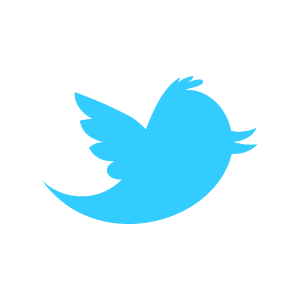 It infiltrates and takes control. All the while, this music breeds virulent destruction like a nemesis bent on stopping overpopulation. Listen to Endinghent and bang your head as the world burns.